Central District Supervisor Ernie Reed, writing on behalf of the Nelson County Board of Supervisors, commented to FERC on the proposed Treatment Plans and Mitigation for impacts to cultural and historical resources in the Rockfish Historical District and Warminster Historical District from the proposed Atlantic Coast Pipeline. The Nelson Board of Supervisors is a consulting party in the Section 106 process for the ACP. The letter outlines the numerous procedural difficulties in the Section 106 process. Thanks to Supervisor Ernie Reed for this well-written letter, and to the Nelson County Board of Supervisors for their position on the proposed treatment plan and mitigation plan outlined by Dominion for the proposed ACP. This entry was posted in Conservation Easements, Cultural Resources, Dominion, Environmental Impact, FERC, Natural Resources, Tree cutting on February 23, 2018 by Ellen Bouton. The October 17, 2017 Wilson Times reports that “”Wilson County commissioners unanimously passed a resolution Tuesday calling for Atlantic Coast Pipeline officials to be more transparent in their dealings with property owners and local government when it comes to development and safety issues. Commissioners expressed reservations on several issues related to the pipeline project and its officials Tuesday, including a ‘development dead zone’ in Wilson County, full and complete disclosures and transparency in project planners’ dealings with property owners and the pipeline’s quality of construction and safety. “Commissioner say ACP officials failed to inform property owners or local government that there is an ‘industry [effort] to create a “consultation planning zone” which extends 660 feet from the center of any high pressure natural gas pipeline,’ according to the resolution. 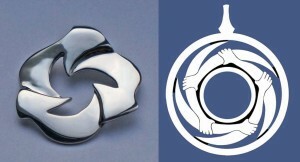 The purpose of the zone or corridor is to ‘restrict development’ within those parameters for the ‘lifetime of the pipeline,’ the resolution states. This entry was posted in Conservation Easements, Construction, Pipeline Route, Property rights, Property Values on October 18, 2017 by Ellen Bouton. 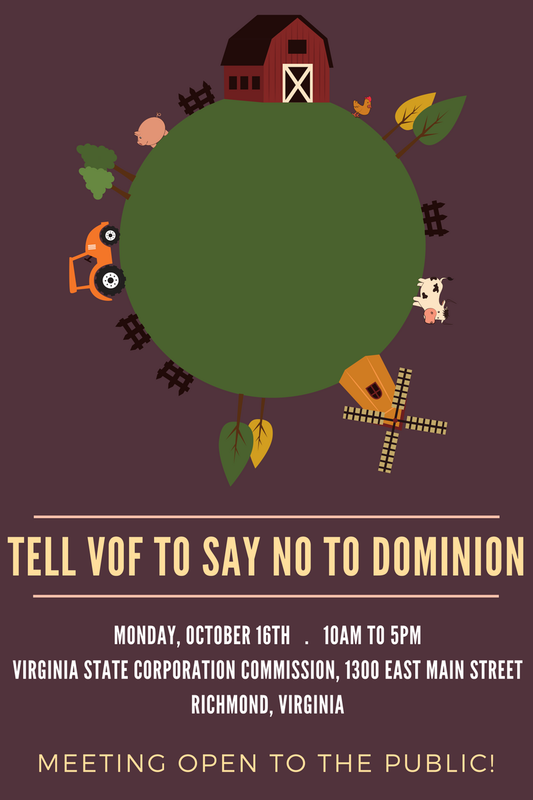 Meeting in Richmond on October 16, 2017, the Virginia Outdoors Foundation (VOF) voted to approve Dominion’s application for 11 land conversions of open-space easements on the route of the proposed Atlantic Coast Pipeline through southern Highland, northern Bath, Augusta and Nelson counties, and approved a single swap for the proposed Mountain Valley Pipeline near Roanoke. “In the resolutions approving the applications, the trustees said that, while the developers failed to demonstrate the projects are “essential to the orderly development and growth of the locality” under section 1704 of the Virginia Open-space Land Act, this requirement is superseded and preempted by the federal Natural Gas Act that authorizes FERC’s certificate process. The Natural Gas Act does not, however, strip VOF’s authority to review the projects and require substitute land of greater conservation value under Virginia law. “The two resolutions, which were adopted 5-0 and 7-0 (two trustees abstained during the ACP vote for personal reasons), included several conditions. Among them are restrictions on the footprint of the pipelines and access roads, the conveyance to VOF of more than 1,100 acres of substitute land in Highland, Nelson, and Roanoke counties, and the transfer of $4.075 million in stewardship funding for the properties’ long-term care and maintenance. “The staff reports describing the substitute lands can be found here: Hayfields report (ACP); Rockfish River report (ACP); Poor Mountain report (MVP). “As a result of these approvals, the VOF easements will remain in place on the properties with overlaying permanent rights-of-way for the pipeline developers. The speakers opposing the swaps said they would show a lack of stewardship, would redefine “in perpetuity,” and that VOF’s approval would negatively affect future conservation easements. It remains to be seen how many future landowners will be unwilling to put their property in conservation easements because they no longer trust VOF to keep its promises. This entry was posted in Conservation Easements on October 16, 2017 by Ellen Bouton. Decisions will be made by the Virginia Outdoors Foundation Board of Trustees on applications presented by Dominion to convert open spaces on 10 tracts that lie in the path of the proposed ACP that are protected by conservation easements. Dominion should not be allowed to dishonor or disrupt the conservation easements set in place in Nelson, Augusta, Highland, and Bath counties. You can submit comments online through October 16, 2017, here: http://www.virginiaoutdoorsfoundation.org/comments/ or email them to comments@vofonline.org. The Trustees meeting on October 16 is open to the public, see our Events page listing for details. This entry was posted in Conservation Easements, Events, Take Action on October 12, 2017 by Ellen Bouton.